In the early 1950s Aston Martin replaced their DB3 race car with the DB3S, a lighter more powerful version that they hoped would get them around the track a bit faster and earn them some trophies. They succeeded with the DB3S! 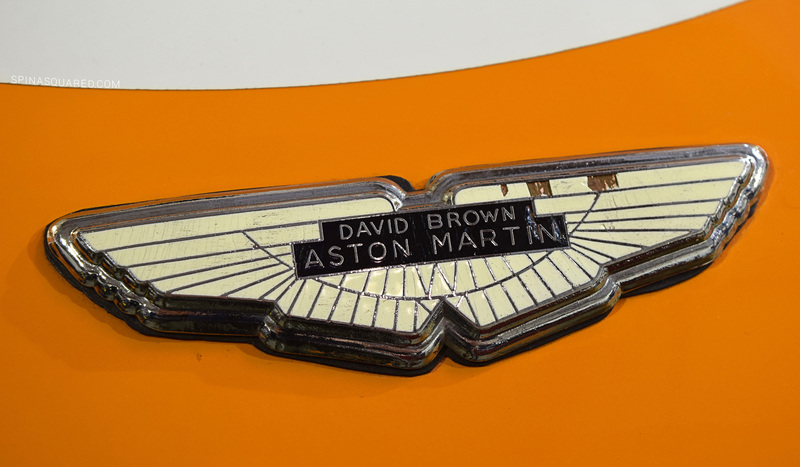 In addition to 11 “works” cars Aston Martin built to race, 20 cars were produced for customers. This one is #118, ordered new in 1955 by Dutch Racer Hans Davids in “Dutch Racing Orange”. After a couple of successful years racing #118, Sir Davids sold the car to an American who brought it stateside. The classic racecar passed ownership only a few times before ending up in the hands of a private collector here in the PacNW! To have been able to see this car in person and up close was a privilege.